3 Biochar Potential or Pitfall? Is biochar the 'new magic remedy' of soil remediation, or is there some useful substance in the miracle claims? Terra preta is found on the site of ancient human settlements, so humans transformed poor amazonian soils into rich & fertile soil. These are still being mined today (terra preta is sold from some places as fertile soil) and seem to keep reproducing over time. It's certainly a way of adding biomass to the soil, but the most characteristic quality of char is that it's inert (doesn't break down easily). Another important quality is its highly porous structure (see photos, below), & yet another (important for climate change) is that it locks away carbon in a very stable, inert form almost permanently. What it does to the bugs depends a lot on what the other components are, and what it does to the environment has everything to do with the scale, connections and resources it actually uses & creates, overall. The structure of biochar is very stable but also very porous - this makes it a great home for micro-organisms as there is a great of surface-area here for water, micro-nutrients, gases & the microbial life they can support,to interact. 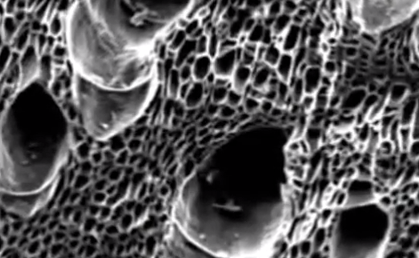 In addition to this micro-pores structure, the varying sizes of the biochar pieces make up the macro-pore structure. As we saw in the Soil class (3.1) both of these are important for fertile soils, and usually provided by different size soil particles but really anything else will also do (eg. organic matter at different sizes & points of decomposition. What most accounts seem to agree on is that it's not the biochar in itself, but it's combination with organic matter that is critical to soil fertility. Porous vulcanic rocks are also known to be very good for soils for this same rich micro-macro-pore structure they provide for soil life. A great variety of soil organisms + organic matter & nutrients (food for the organisms) + a rich soil structure (high surface-area environment for the micro-organisms to feel at home in) is the basic combination of good fertile soils. This is one way to achieve it, & a critically important one in the amazonian basin, where rocks are in such short supply that for many native cultures they are a form of currency. where rocks are in such short supply that for many native cultures they are a form of currency . Biochar is being touted for soil improvement and carbon sequestration. Our New England soil laboratory explores the subject in lab, field and greenhouse trials. We find some surprising pitfalls especially extreme pH that will need to be overcome before Biochar is widely used for soil application. Emphasizing the excellent bug-home properties of biochar + the sensible idea to ensure it's waste we use to produce biochar, if we're going to, otherwise the whole might start to not make a lot of sense. In this sensationalist (& in parts rather racist) documentary there are some good pieces of information connecting the biology of the terra preta (it's 'alive' .. or inoculated with a lot of micro-organisms) with the possible history of the Amazon basin, where it was found. In this documentary a legendary civilization thought to be too good to be true on the basis of the stories told by the Spanish explorer Francisco de Orellana, is found to be a real part of history. We can separate fact from fiction here, in that the golden riverbanks the Spaniard told of, were not golden as with precious metal strewn along them, but with something far more precious; CROPS !! ADDITIONAL: Some people have seen an opportunity for commercialization of this wonder of God's grace, and actually grow high energy crops especially for charcolization. While this is viable & maybe with reasonably amiable intentions, it misses the ultimate goal that the people of El Dorado/ the Amazon basin rainforest pre-Columbus found themselves ahead of practically the rest of the world by: harmony and balance with their environment. If we do not harness this same opportunity today, and allow the Shooz to push GM foods on us, God's wrath shall find us in the form of our very own failure at life and we will probably all be dead within a couple of hundred years, with only a few 'survivor' mutant 'elites', who suffer from nano-bot viruses that cause them to continually punch themselves where it hurts the most, and eventually they will not be able to reproduce with their relatives anymore, and mankind will fizzle out none too soon. It is useful to understand some basic geology of the soils where terra preta was found, to appreciate why it is so important there. On the surface is the fresh organic material beginning to decay, below that is A with mineral nutrients and organic particles (this is only one inch thick in the Amazon). Next down is the B horizon, with primarily rock particles, and the nutrients that have leeched out of the A horizon, and the final stratum is the bedrock of the C horizon. The bedrock of the C horizon, which is the foundation of the Amazon’s Basin feature, is Precambrian in nature. The B horizon however has precious few rocks, because of the corrosive effects of a journey down from the Andes precious little makes it to the basin itself (curiously, rocks are in such short supply in the Amazon that for many native cultures they are a form of currency). Instead, the B horizon is almost entirely composed of soft sedimentary clay, running as deep as four kilometers in many places. This clay is inferior for several reasons, first it is rather unstable, and allows the sediment to under go compression in severely irregular patterns (this has made large scale construction projects very difficult in the Amazon). Secondly, clay is a natural sealant, it makes the osmosis of water ions and nutrients virtually impossible, so when the A horizon is only an inch or so thick, there is virtually nothing accessible to foster growth bellow that. This leads to radically shallow root systems in the flora, which has inherently negative effects on the hardiness of these trees. It also intensifies the gravity of the erosion issue, for when there is only one or two inches of accessible fertile soil, one can not afford to loose any of it. The effects of leaching on soil nutrients were already mentioned, but a second form of erosion is far more measurable; sheet or surface erosion is what happens when soil is simply washed away, in this case the scarce and valuable layer of top soil is victim to these forces. Normally this does not happen, because the root system (shallow as it may be) is like a safety net, keeping the fertile soil locked in place, as well as the extensive canopy limiting the amount of actual water reaching the forest floor in its liquid form. As such it would seem that erosion is not a matter worth looking into, but unfortunately, the flora system which protects the rich productive soils is not always present. Due to clearing and the encroachment of farms, mines, roads and other human uses of he Amazon land, there are many patches of relatively unprotected soils both on the edges and within the rainforest. Erosion in these deforested areas, even if there is agricultural vegetation upon it, is drastic, irreparably depleting the existing nutrients in only a season or two. This makes the reclamation of deforested land a loosing battle, but even worse than that are the side effects on adjacent forest. Healthy forests sharing a periphery with these damaged treeless areas are going to fall victim to the radiating forces of erosion, and the grasping draw of nutrient leaching. Terra preta (literally “black earth” in Portuguese) is a type of very dark, fertile anthropogenic soil found in the Amazon Basin. Terra preta owes its name to its very high charcoal content, and was indeed made by adding a mixture of charcoal, bone, and manure to the otherwise relatively infertile Amazonian soil, and stays there for thousands of years. It is also known as “Amazonian dark earth” or “Indian black earth”. In Portuguese its full name is “Terra preta do índio” or “Terra preta de índio”. Terra mulata is lighter or brownish in color. Terra preta is characterized by the presence of low-temperature charcoal in high concentrations; of high quantities of pottery sherds; of organic matter such as plant residues, animal feces, fish and animal bones and other material; and of nutrients such as nitrogen (N), phosphorus (P),calcium (Ca), zinc (Zn), manganese (Mn). It also shows high levels of microorganic activities and other specific characteristics within its particular ecosystem. It is less prone to nutrient leaching, which is a major problem in most rain forests. Terra preta zones are generally surrounded by terra comum, or "common soil"; these are infertile soils, mainly acrisols, but also ferralsols and arenosols. 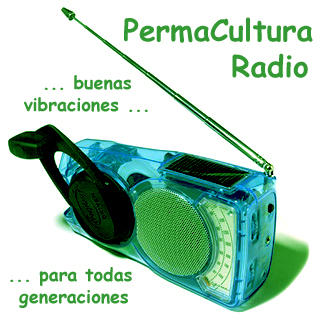 Terra preta soils are of pre-Columbian nature and were created by humans between 450 BC and AD 950. The soil's depth can reach 2 meters (6.6 ft). Thousands of years after its creation it has been reported to regenerate itself at the rate of 1 centimeter (0.39 in) per year by the local farmers and caboclos in Brazil's Amazonian basin, who seek it for use and for sale as valuable compost. Biochar or Terra preta is charcoal created by pyrolysis of biomass. Biochar is under investigation as an approach to carbon sequestration via Bio-energy with carbon capture and storage. 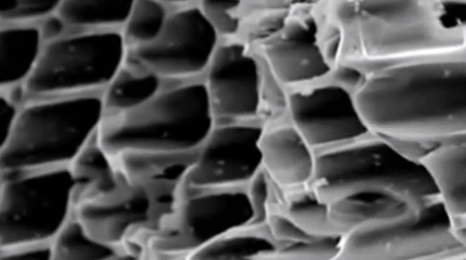 Biochar thus has the potential to help mitigate climate change, via carbon sequestration. Independently, biochar can increase soil fertility, raise agricultural productivity and reduce pressure on forests. Biochar is a stable solid, rich in carbon and can endure in soil for thousands of years. Charcoal is the dark grey residue consisting of carbon, and any remaining ash, obtained by removing water and other volatile constituents from animal and vegetation substances. Charcoal is usually produced by slow pyrolysis, the heating of wood or other substances in the absence of oxygen. It is usually an impure form of carbon as it contains ash; however, sugar charcoal is among the purest forms of carbon readily available, particularly if it is not made by heating but by dehydrating with sulphuric acid to minimise introducing new impurities, as impurities can be removed from the sugar in advance. The resulting soft, brittle, lightweight, black, porous material resembles coal. Pyrolysis typically occurs under pressure and at operating temperatures above 430 °C (800 °F). The word is coined from the Greek-derived elements pyr "fire" and lysis "separating". Pyrolysis is a special case of thermolysis, and is most commonly used for organic materials, being, therefore, one of the processes involved in charring. The pyrolysis of wood, which starts at 200–300 °C (390–570 °F), occurs for example in fires or when vegetation comes into contact with lava in volcanic eruptions. In general, pyrolysis of organic substances produces gas and liquid products and leaves a solid residue richer in carbon content. Extreme pyrolysis, which leaves mostly carbon as the residue, is called carbonization. Simplified depiction of pyrolysis chemistry.